You may have just started a new blog or thinking about doing so. 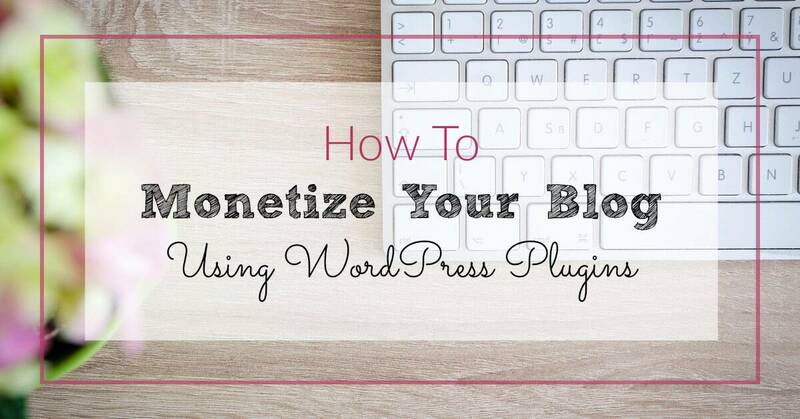 If your goal with your blog is to make money you will need to know how to monetize your blog. I currently only use ads and affiliate marketing to monetize my blog but it is still fairly new. 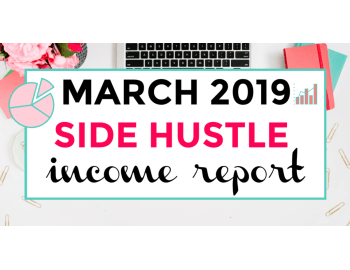 (Update May 2018: I have since added sponsored posts as another stream of blogging income). I have implemented affiliate links and ads into my blog easily and seamlessly using plugins. These plugins have helped me make more than $1000 per month blogging. I think that is pretty darn good for just starting out and only using ads and affiliate marketing as my only income points at this time. I want to make something clear: ads and affiliate marketing are not the only ways to make money with your blog. However, I feel like just starting out these are effective ways to get the ball rolling. The easiest way to start monetizing your blog passively is through ads and affiliate links, where you don’t really get into any of the dirty work yet. Plugins are great for setting and forgetting. If you are not familiar with affiliate links, I suggest you sign up for AWIN or ShareASale where you can search for advertisers, ask to join their program, and grab their links to include on your site/blog. Here are the best FREE WordPress plugins to easily monetize your blog. Work smarter not harder with free plugins. I use Shareaholic on my site and throughout my blog. Shareaholic is great for boosting your blog through easy sharing but also offers options to monetize through placing ads underneath your content. Once I found out about this plugin, I could not resist. I have had it installed for about 3 weeks and already made $7 dollars from it. Keep in mind I do not have the highest blog traffic like others who have been blogging for years and have built a following. So I am not complaining about that $7 profit, it actually surprised me! You can download and install the plugin and it will direct you for where to go to sign up for Shareaholic, and you are set to go. I tested out Infolinks for a couple days. I liked how I randomly made at least 30 cents every day for the ads to just be there. However, the ads and links for infolinks are hard to control. You can pick what you enable on your blog through the plugin or through the infolinks site itself but I still was getting ads in places I did NOT want them. So I decided to forget about this one if it were to ruin the user’s experience. I say try it out and see if it works for you, even if it didn’t for me. You might earn a little extra with this one. You have to sign up for Infolinks through their site, install the plugin, then just input the API on the plugin (provided to you from the Infolinks site) and plug and play from there. Be weary with this one…it can tend to be ‘spammy’ and dangerous. You’ve been warned! Viglink is an outbound traffic monetization service for publishers, forums, and bloggers. They special in in-text advertising and marketing. When Viglink sees URLs that haven’t been linked, they will link them for you. You can opt for them to override links that are already affiliated, however, I have not tried that feature out. I keep all my originally affiliated links with the original program. Anyhow, all you have to do is go to Viglink’s site and sign up. Afterward, download and install the plugin and enter your Viglink API (provided to you by the Viglink site). And they do the rest FOR you :). If you want control over your ad’s placement, style and experience, I highly recommend AdRotate. With AdRotate you can easily place advertising banners pretty much anywhere on your site while managing almost everything from the easy to use dashboard. No fussing with your theme’s code if you don’t want to. You can ask for donations on your blog from your users that found the information helpful. Enables you to quickly set up donations via PayPal including repeat contributions. Comes with tracking, thank you emails and additional features.I have yet to have the guts to enable this one because I am weary about asking for donations…this is not a charity but I love all the help I can get. If you are not the most tech savvy of people or you just like to stay organized, this plugin might be worth checking out. ThirstyAffiliates offers a way to manage your affiliate links in one place and assists with inserting them into your content. It also provides link shortening, cloaking and many more features. Collect, collate and store your affiliate links for use in your posts and pages. No sign up required, just download and install the plugin. This plugin will make Amazon affiliate links international so that they work in every local Amazon store. This way if you have site visitors from more than one country, you will still get credit if they use your local Amazon affiliate link. You must download, install, and sign up for the plugin to work. You download and install the plugin here, sign up here, and then enter your API and watch magic happen. Pretty link makes your affiliate links not look all long, nasty, and random. They make them look pretty and apart of your site. For example, they would convert this link structure https://www.siteground.com/index.htm?afcode=96dc8f56125441a6facce995a04022c8 into this https://iliketodabble.com/siteground . This way your users trust what they are clicking and overall makes your site more trustworthy. 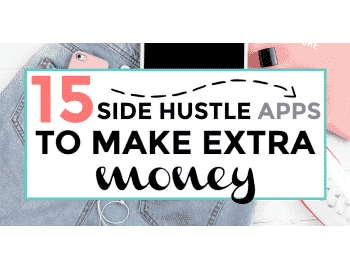 I recently installed pretty links and even though it has been time-consuming to implement with all of the affiliate links I plan on using and fixing my old posts affiliate links (still a work in progress), I already love this plugin! Check out Pretty link pro where you get even more options, so you can get the most out of your affiliate links! Too bad you can’t have more control over Infolinks, that sounded like something I would have wanted to try. I have Shareaholic, but haven’t enabled the monetization feature. Maybe I should give it a spin. I might have to try out Vigilinks…and Pretty Links. I have a blog and have made a little money using ads. I would like to boost earnings because like you, I want to have a fulfilling life on my own terms. I’m going to look into adding Shareholic and Affiliate Marketing. Thanks for the post!